System-of-systems integration requires sharing of data, algorithms, user authorization/authentication, and user interfaces between independent systems. While SOA promises to solve the first issues the latter is still open. Within an experimental prototype for a distributed information system we have tested different methods to share not only the algorithmics and data of services but also their user interface. The experimental prototype consists of nodes providing services within process portals and nodes realizing services with software agents. Some of the services were extended with WSRP (web service remote portlet) to provide their own user interface components that can be transmitted between separated containers and application servers. Interoperability tests were conducted on JBoss and BEA Portal Workshop. Open questions remain on how the layout of one component should influence the internal layout of other GUI-components displayed concurrently. 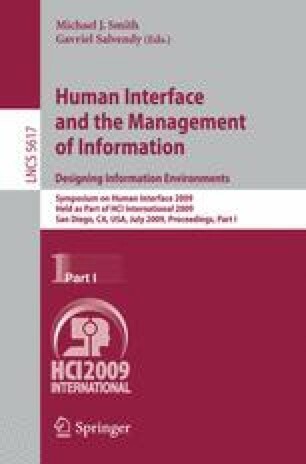 Former work on user interface management systems could improve todays tools in that respect.